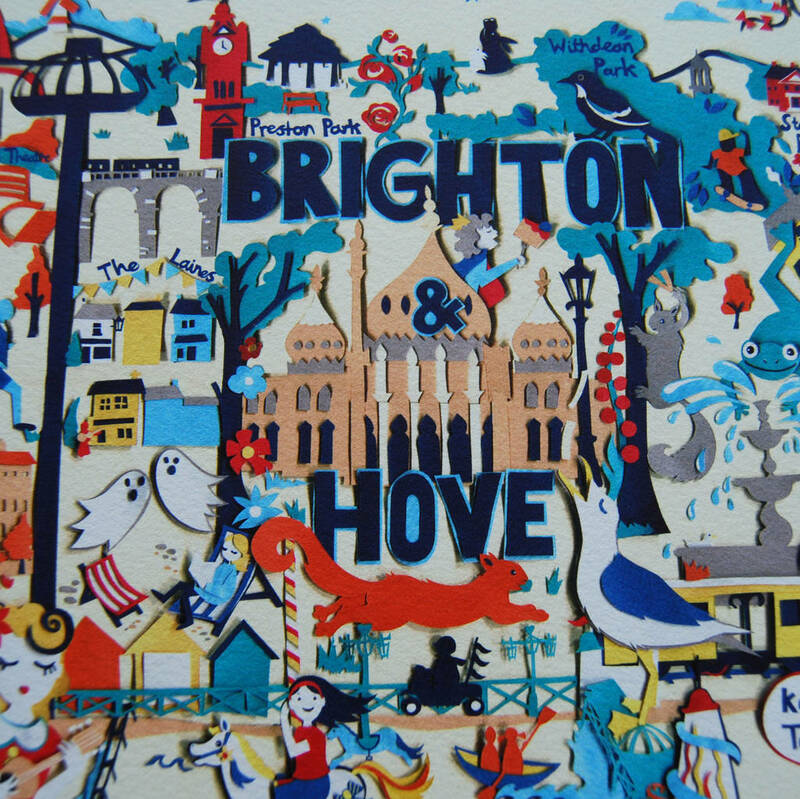 Brightly coloured, Brighton map full of all the famous landmarks, furry friends and some unusual visitors! 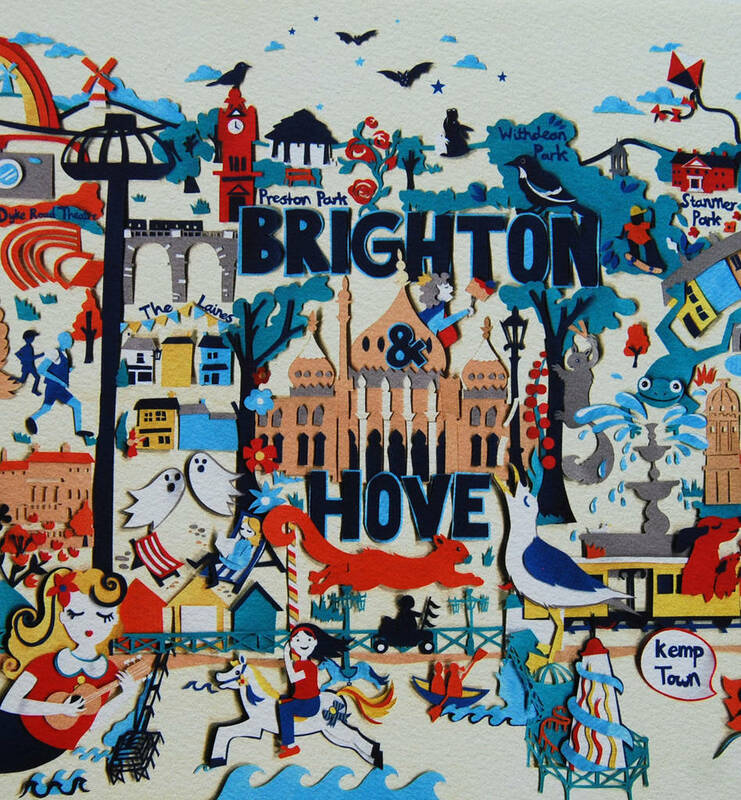 Welcome to Brighton & Hove. 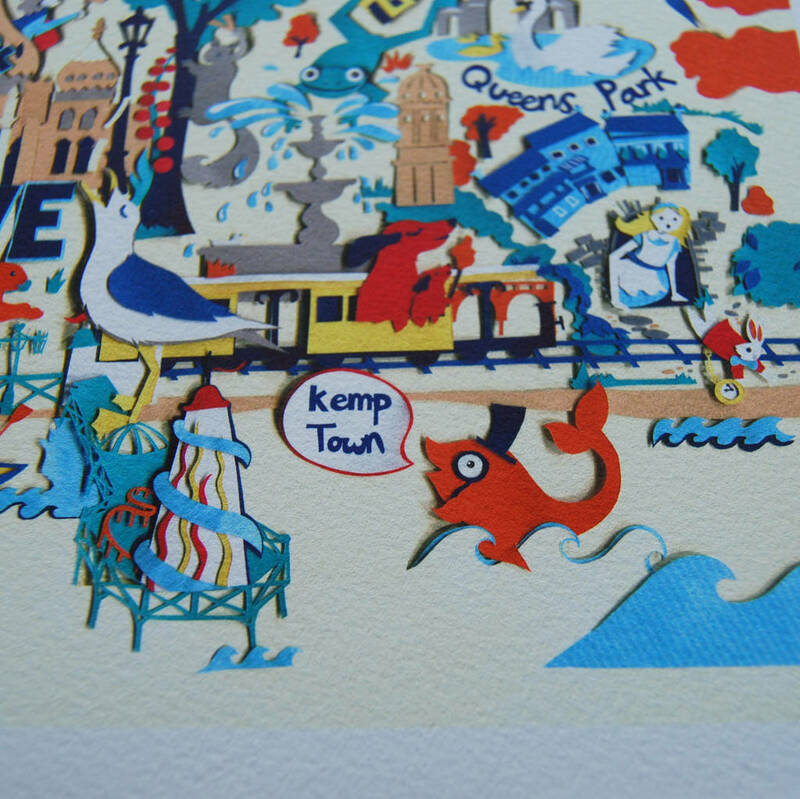 This map illustration is full of details from King George the Fourth scoffing a cake, cool foxes and a cheeky Angel of Hove enjoying an ice cream. 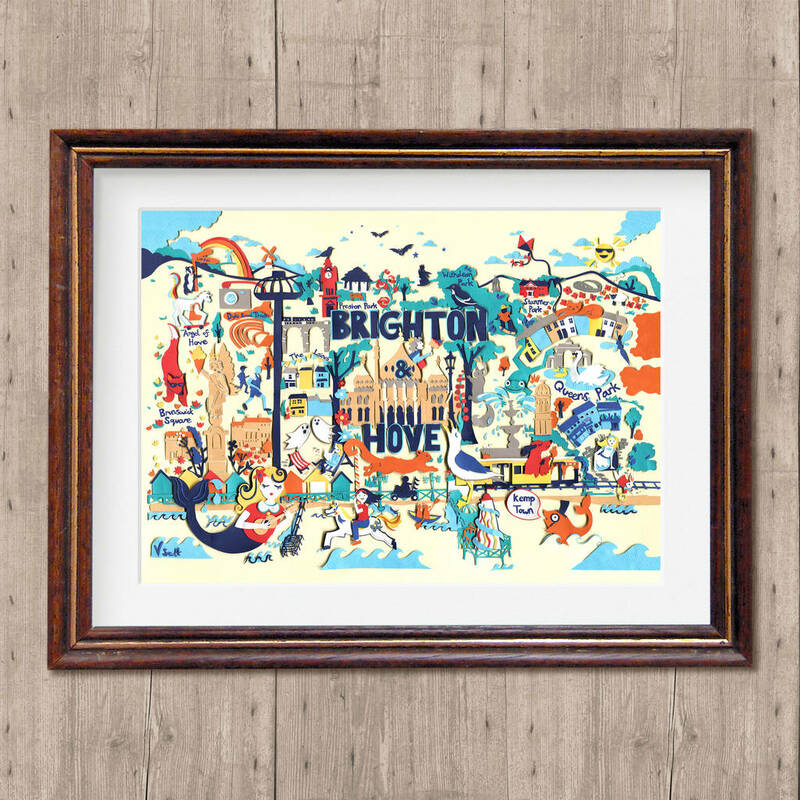 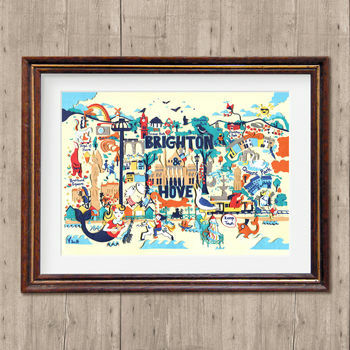 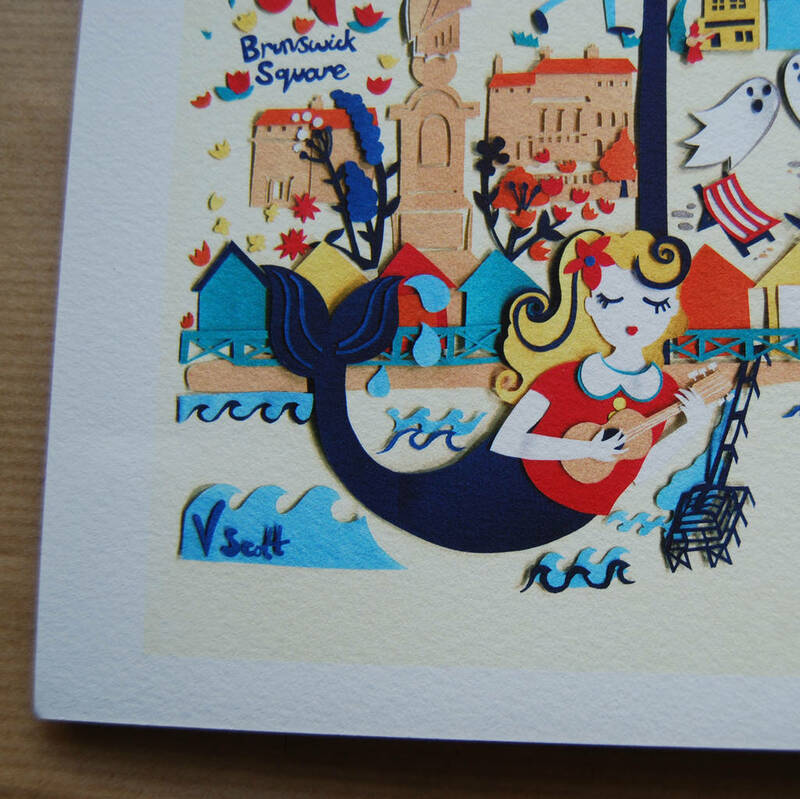 This Brighton print is the perfect reminder of a trip to Brighton or a wonderful gift for any local. 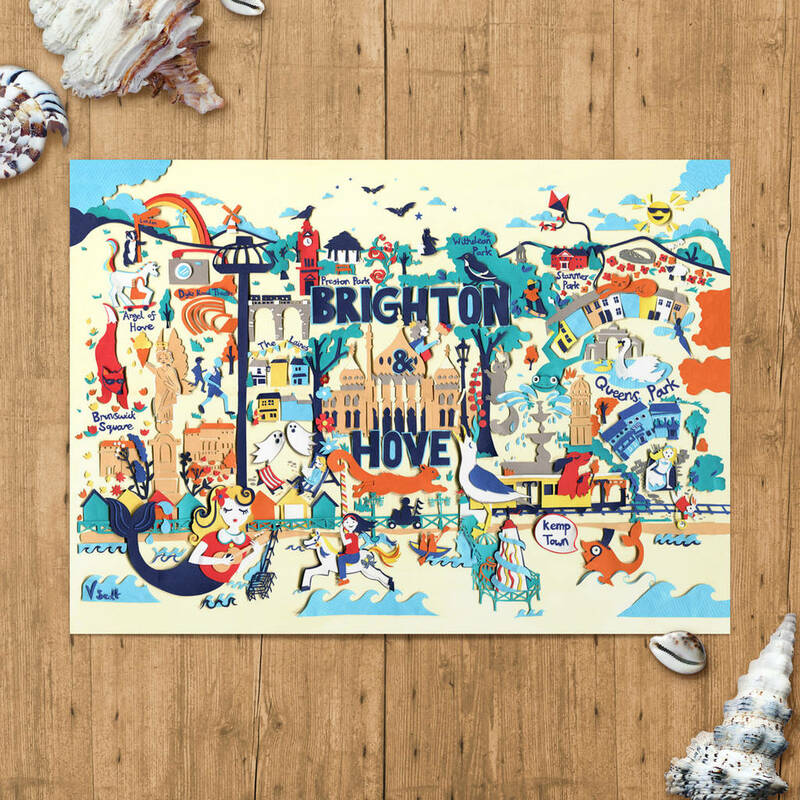 It would make a lovely addition to a childs room too.